The first cooperative Wildlife Research Unit in the nation was established in 1932 at Iowa State, largely through the perseverance of Jay Norwood “Ding” Darling, Des Moines Register political cartoonist. Darling led the fight to disconnect Iowa’s conservation activities from political interference and was named the first chairman of the resulting Iowa Fish and Game Commission, which later became the Iowa Department of Natural Resources. Darling saw there were not enough scientifically trained specialists to do the necessary wildlife management, research and administration. So he negotiated an agreement with Iowa State and the Iowa Fish and Game Commission to establish the Cooperative Wildlife Research Unit and pledged $9,000 of his own money to the effort. The cooperative became the first of 43 such fish and wildlife units at land-grant universities in 40 states. The unit provides administrative support and guidance for cooperative programs of research and education relating to fisheries and wildlife biology and management, and to natural resource conservation. Paul Errington, who came to Iowa State in 1932, was known as one of the pioneers in animal ecology. He was featured in Life magazine in 1961 as one of the 10 outstanding naturalists in North America, and in 1962 he was awarded the Aldo Leopold medal, the highest honor bestowed by the Wildlife Society. Errington was credited with developing principles of predation in nature and many of the complicated mechanisms that characterize free-living populations, and was considered one of the original architects of the concept of compensation. His explanation of automatic adjustments in natural populations gave a new interpretation to the concept of balance of nature. 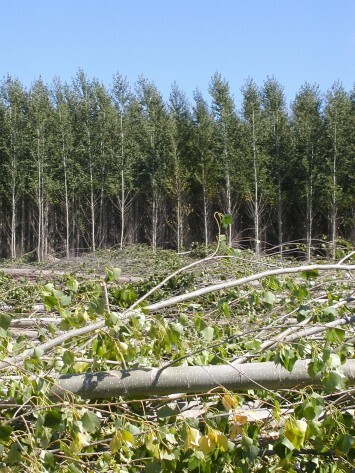 Researchers at Iowa State became the first in the United States to field test genetically engineered trees in 1989. Young poplars were planted on university land on the north edge of Ames. The altered trees contained a gene called Inhibitor II, which was being tested on its effect on pest resistance or drought tolerance. The Inhibitor II gene was tested at Iowa State in tobacco plants in 1988, the first field experiment of its kind at a U.S. university. Iowa State researchers have found that prairie strips placed within fields offer a way for row-crop producers to meet environmental goals while still satisfying demands for food, feed and fuel. 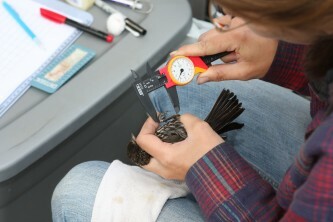 Lisa Schulte Moore, associate professor of natural resource ecology and management, and her colleagues have been conducting a study at the Neal Smith National Wildlife Refuge in Jasper County since 2005. In the study, prairie strips are placed perpendicular to the flow of water with spacing and configuration designed to fit farming and machinery needs. There is the potential that the strips can be moved as sediment is deposited on the upslope edge or machinery needs change, making them a flexible and attractive alternative to terraces for certain slopes and soil types. Native prairie plantings also provide better wildlife habitat than non-native grasses, which are typically used for grassed waterways and terraces on farmland. Research is seeking to develop biofuels from forest-based lignocellulose and to produce new ingredients useful in fiber-based composites. The overall goal is to enhance the use of wood and the development of sustainable and environmentally appropriate solutions to national energy problems. Methods for pre-treating biomass for biofuels production have been improved. Work is progressing to commercialize formaldehyde-free adhesive formulations for wood composites manufacturing. The Iowa population of jackrabbits has been declining for more than 40 years. In 2006 the Iowa Department of Natural Resources contacted Iowa State requesting help to obtain more information to guide jackrabbit conservation and management. White-tailed jackrabbits are technically hares, not rabbits, that are nocturnal animals that tend to live in grassland areas of the northern United States and Canada. Faculty and students in the natural resource ecology and management department have been studying jackrabbits that live in and around the Agronomy and Agricultural Engineering Research Farm west of Ames.